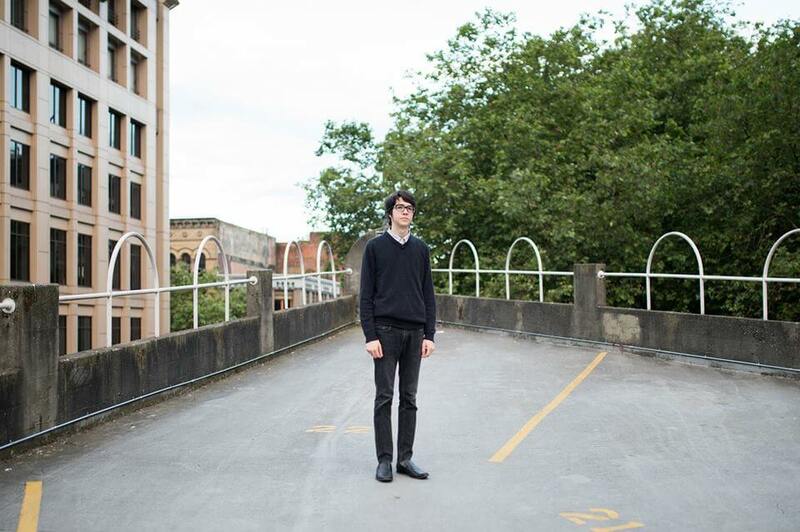 It would be no exaggeration to say the amount of critical acclaim that's greeted today's release of Car Seat Headrest's 'Teens Of Style' has been equal parts awesome and overwhelming. For us, anyway. If yesterday's KEXP session is anything to go by Will Toledo's ALL BUSINESS when it comes to this kinda thing and while "unflappable" in the dictionary used to have a picture of a bird encased in rubber bands, it will now feature a sketch of Will. Preferably one of those Wall St. Journal style sketches, I've always liked those. Anyhow, what oughta be a national sensation has now grown into a full-fledged INTERNATIONAL INCIDENT. Check the dates below. 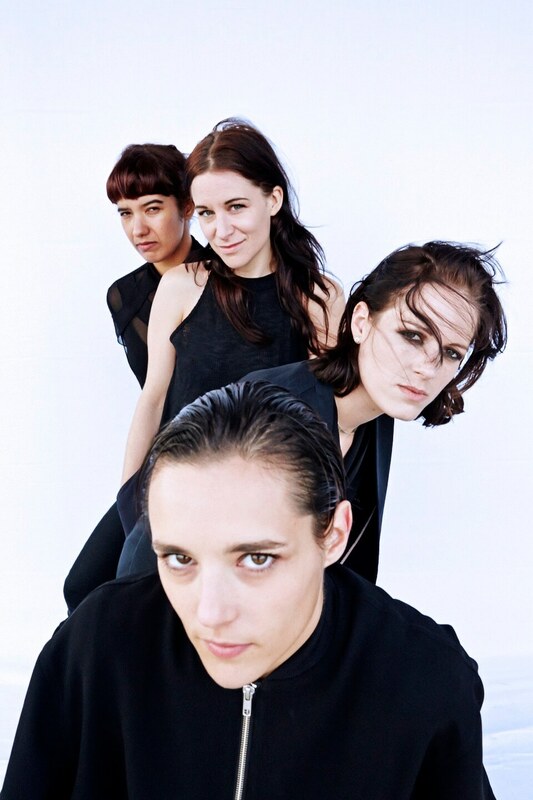 Savages have just announced worldwide tour dates in support of their upcoming album Adore Life. An exclusive fan presale will open this Thursday, October 29th at 9am local HERE. Full list of (just announced!) tour dates below. 2 New Videos From HÆLOS, "Pray" & "Dust"
HÆLOS -- the London-based trio of Arthur Delaney (vocals), Dom Goldsmith (vocals, production) and Lotti Benardout (vocals) – are sharing new single “Pray” via Part II of their video trilogy. Together, with the new video for “Dust,” HÆLOS’ intriguing inaugural song, and the previously released video for “Earth Not Above,” this completes the band’s visual triptych. It’s a rare glimpse into the HÆLOS psyche as the band explores the modern big city life with the rituals and coping strategies that occupy the early hours. Presenting a further taste of what’s to come from HÆLOS in 2016, “Pray” sees the enigmatic trio once again treading the fine line between darkness and euphoria as intensifying drum loops and cinematic strings form a backdrop for Lotti’s haunting and impassioned vocals. “Pray” and “Dust” are available to stream now and will be available as a limited edition 12” white label on December 4th on Matador. Both videos were directed by Jesse John Jenkins. 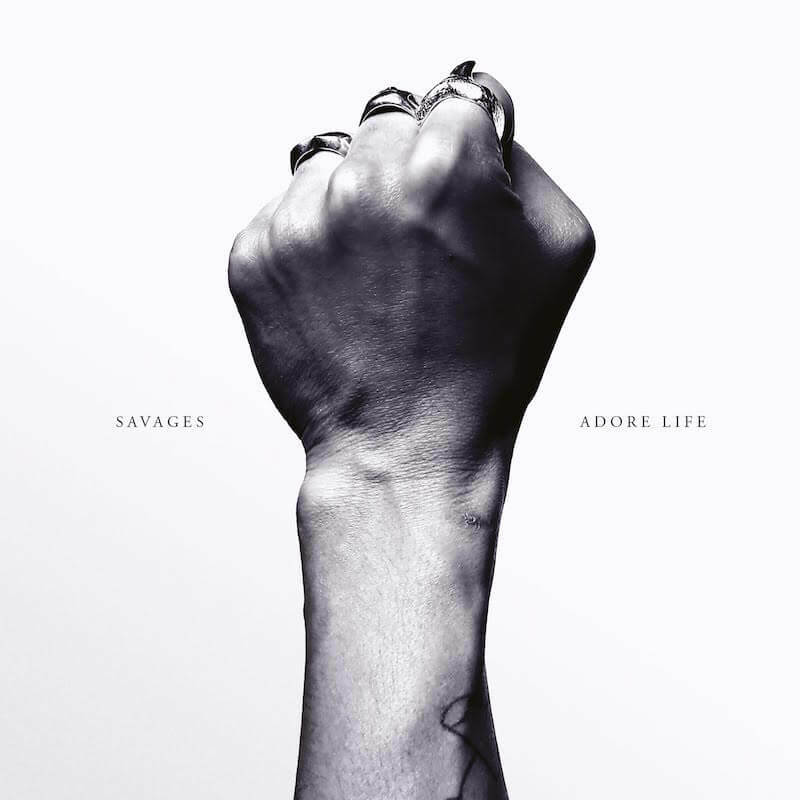 Savages’ second album, 'Adore Life', was recorded at RAK Studios, London in April 2015. Johnny Hostile was the producer and Richard Woodcraft the engineer. Anders Trentemøller took care of the mixing in Copenhagen. 'Adore Life' is out January 22, 2016. All songs were written and played by Savages – Ayşe Hassan (bass), Fay Milton (drums), Gemma Thompson (guitar), Jehnny Beth (vocals). Lyrics by Jehnny Beth. Out Today : Majical Cloudz - Are You Alone? The hotly anticipated new album from Majical Cloudz, 'Are You Alone?' is available in better record shops and thru digital retailers today (Friday, October 16). Devon and Matthew's updated tour schedule (including a recently added January 19 at Music Hall Of Williamsburg) can be found below, with things kicking off tomorrow night in Toronto. 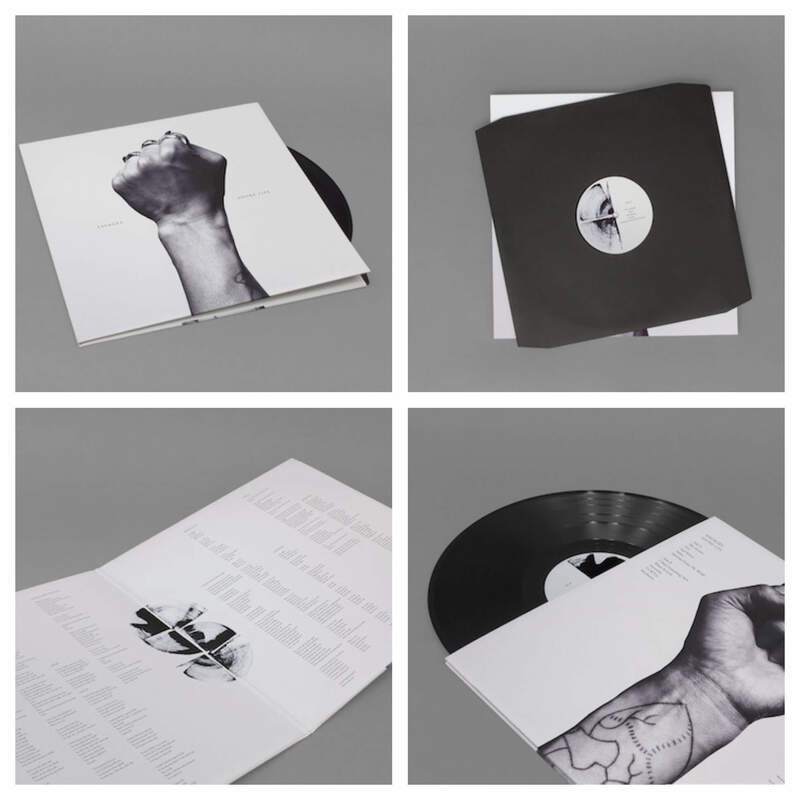 Order ‘Are You Alone?’ from The Matador Store, iTunes or Amazon. VIDEO : EMA - "Active Shooter"
made for training purposes. It was shot in a middle school. There are dozens of these videos online, including ones made by Homeland Security and the LA Sheriff’s department. They urge every day Americans to be prepared in all situations in case a mass shooting breaks out. Hey, just wanted to remind everybody (especially those that HATE POSTSEASON BASEBALL as much as I do, can you spell B-O-R-I-N-G?) that Yo La Tengo's biggest show in the metropolitan NYC area in a long time is happening tomorrow evening at Brooklyn's beautiful (well, I'm told) King's Theatre. The one and only Nick Lowe provides support and I'm here to say that if he's half as good as he was opening for The Cars at Boston Garden in March of 1982...well, let's hope he's much better than that, right? I'm sure it'll be great! Ira, Georgia, James and Dave Schramm continue their travels next week with a tour starting at Dublin's National Concert Hall. When the late Yogi Berra was once told that Dublin had elected a Jewish mayor, he declared, "only in America!" I think these words still ring true to this day. For those who might have missed this little nugget of a contest, here is all the information you need in order to submit art for "b'lieve i'm goin down... this fall." We have seen so much amazing fan art for Kurt over the years. This is an opportunity for those artistically inclined to have their design featured on an official Kurt Vile tour t-shirt. 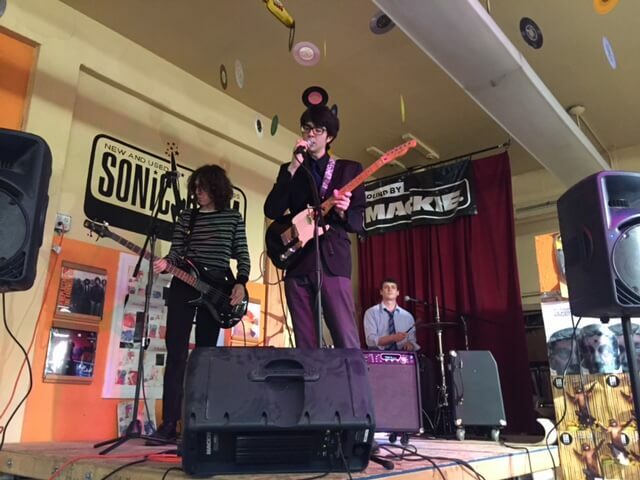 The winner will also get to meet Kurt at one of his headline shows on his 2015/2016 world tour. If you are anywhere in the world and want to enter, you can. There are no location restrictions. b'lieve i'm goin down... is out now. "After a two year break between European tours, Ceremony crossed the pond this summer for a sprint across the continent. In a roundabout way Ceremony helped me get a full time job doing something that I love, so naturally when they came over I had to figure out a way to ditch work, shirk all responsibility and get in the van with them. Maybe I could be the runner? The merch guy? Drunkenly help manage the tour? De facto tour clown? In the end I convinced the powers that be to let me take some photos. More photos can be seen here and here. VIDEO : Majical Cloudz - "Downtown"
Another Majical Cloudz video directed by Devon Welsh and Neil Corcoran was released this morning. "Downtown" is the last single from Are You Alone? before the album's official release on October 16th. There are quite a bit of new tour dates listed below for later this year and early next. Take note and make plans accordingly. Preorder ‘Are You Alone?’ from The Matador Store, iTunes or Amazon. 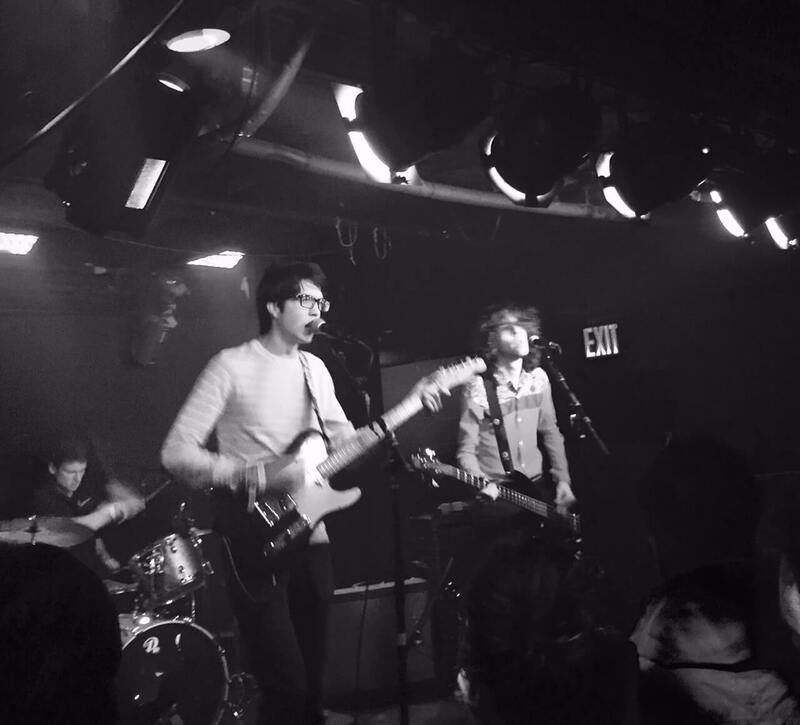 VIDEO : Car Seat Headrest - "Times To Die"
Car Seat Headrest - "Times To Die". From the album 'Teens Of Style' (out October 30) ; "a meditation on Judaism, Hinduism, the Book of Job, fancy restaurants, and the music business". Visual by Marisa Gesualdi. Please note the updated tour itinerary below includes CSH's first European dates.